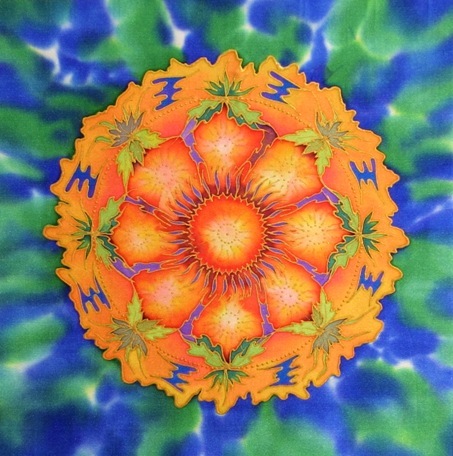 This vibrant mandala laser print is from an original mandala painting of mine on satin silk entitled “The Gradual Emergence of Tranquility”. It is a laser print, reproduced on sturdy card. Hand signed by the artist (me) on the reverse. Your print will be shipped to you in the UK by courier – and to Europe and the rest of the world by Airsure, fully trackable. ** Please note: Rights to reproduce do NOT transfer with the sale of this artwork. All copyrights belong to the artist, Fiona Stolze. This entry was posted in Mandala Prints on November 25, 2013 by Fiona.